Everyone knows that players aren’t invincible. Nearly every match you watch will feature at least one player limping/strechered off with some sort of injury, and a quick glance at the weekly physio report from around the Premier League will confirm as much. Some are severe, requiring lengthy rehabilitation spells, while others are simple knocks that only keep them out of action for the rest of the match. before this season, you didn't often hear of players having major medical issues. this year, they're damn near omnipresent. Oddly though, these expected injuries seem to enrage us. How can they get hurt so often, when it’s their job to stay fit? This unrealistic expectation normally boils to the surface whenever a player falls victim to repeated injury blights. Think of all the ridicule leveled at Arsenal’s Robin van Persie during his extended and repetitive injury spells over the last few years. Fans and media members alike skewered the Dutchman for glass-like fragility, even throwing him to the wolves when he sought out alternative — albeit an odd alternative — methods for finally getting healthy. However, injuries that result from playing or occur during training are expected parts of the modern game, especially considering the congested fixture calendars and pre-season tours that players are subjected to these days. Ultimately, they annoy us, but there’s no possible way we can completely eradicate them from the sport. What isn’t expected, though, are illnesses that fall outside the realm of football. Yes, we’ve grown accustomed to a player picking up an injury from time to time. But the news of a player being diagnosed with potentially life-threatening disease always seems to catch us by surprise. Which is odd, because the same thing happens to us “commoners” all the time. Modern professionals are already blessed with speed, strength and athleticism that the average fan could only dream of having. With so many perceived “superhuman” qualities, we can be forgiven for believing our on-pitch heroes should also be immune to the ailments that trouble normal folk. Unfortunately, this season we’ve seen that isn’t exactly the case..
abidal had to go under the knife a second time to treat his liver cancer. hopefully they at least gave him a matching scar on the right... you know, because aesthetics are important. Milan’s Antonio Cassano suffered a stroke on a return flight after a match, thanks to a small hole found in his heart. Manchester United’s Darren Fletcher was diagnosed with an inflammatory bowel disease, which has kept him out of action since November. 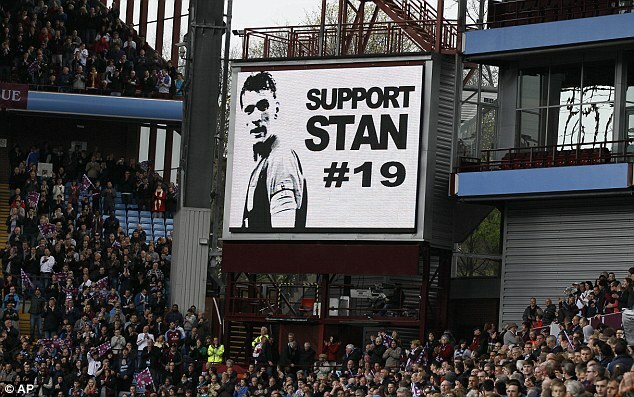 Aston Villa captain Stiliyan Petrov was unexpectedly forced to retire from the game after he was diagnosed with acute leukemia. Barcelona’s Éric Abidal had to have a liver transplant last week after it was determined that an earlier surgery to remove a tumor was unsuccessful. Fabrice Muamba’s heart stopped and didn’t beat on its own for over an hour after he collapsed on the White Hart Lane pitch. And then just last week there was the tragic passing of Livorno’s Piermario Morosini, who also suffered a massive heart attack mid-match. Luckily, the players are asking themselves the same questions. The day after Muamba’s cardiac arrest, the entire Tottenham playing staff demanded to have heart evaluations. A natural response given the circumstances, though it was alarming to learn that such exams aren’t regular requirements for professional players. Considering how much is invested in them, you would’ve thought that the clubs would want to protect those investments a little more proactively. But in most cases — outside of the medical conducted upon a player’s initial signing — they’re rarely ever put through any cardiac testing or check-ups. Which is even more odd, because this isn’t a new battle that players have just recently begun to fight. Look, we all know that playing the beautiful game is a physically taxing activity, and that it puts increased strain on our hearts and lungs. For most of us it’s a good thing, and we could probably all stand to get more of that kind of activity. But for the professionals that are out there each day in training and match days, that can be a lot of cumulative stress. Darren Fletcher’s bowel issues are also thought to be the partially cause of stress — both physical and emotional — and could necessitate surgery to remove his colon. I’m no doctor, but I would have to think that the prevalence of such traumatic health problems should at least be cause for looking into the how stress is affecting players’ bodies. The general assumption is that players are stretched too thin due to the number of games the modern game demands. Ideally, we would roll back the number of games they’re expected play. But in a world where the thirst for top flight football is growing exponentially — meaning there’s money to be made if matches are played — that’s not remotely possible. Even if we’re not going to be rolling back the playing time expectations, I think an important Plan B would be for clubs to at least take a greater interest in the health of their players. If regular exams and physicals aren’t the norm, they should be. You would expect that regular heart screenings, stress tests, and general physical exams would be the bare essentials for a sport where fitness is so pivotal. And while it’s highly unlikely that Abidal’s or Petrov’s ailments are the result of football-induced stress, perhaps if the players were subjected to more frequent medical screenings, earlier diagnoses could have been made. i promise that i'm not abdicating more medical presence in football just so i can see more of eva carneiro. And if all of these are things that do happen on the regular, could someone tell us about it? Otherwise we fans feel like we’re being left in the dark, thinking that the players have to resort to visiting Serbian witch doctors for crackpot placental treatments. Regardless of the treatment they’re receiving, it’s not all gloom and doom when it comes to player health these days. Muamba was just released from hospital following his extended stay. Post heart surgery, Cassano recently returned to action for Milan and has been given a clean bill of health by his doctors. And even Salvador Cabañas, a player who was shot in the head nearly two years ago, has defied the odds and returned to playing in his native Paraguay. If nothing else, these small miracles are enough to give courage and strength to those other players currently suffering with such issues. But we also can’t forget that these players are far more fragile than they appear, and major medical procedures are far from an exact science. Quick fixes will do nothing but conceal the problem that lies underneath. Player health needs more attention — plain and simple — and we’ll only have ourselves to blame if another youngster is lost because everyone simply assumes that professional athletes are in prefect health.